The purpose of this research paper is to provide policy-relevant baseline information that will inform public policy regarding the population of people with learning and/or developmental disabilities. 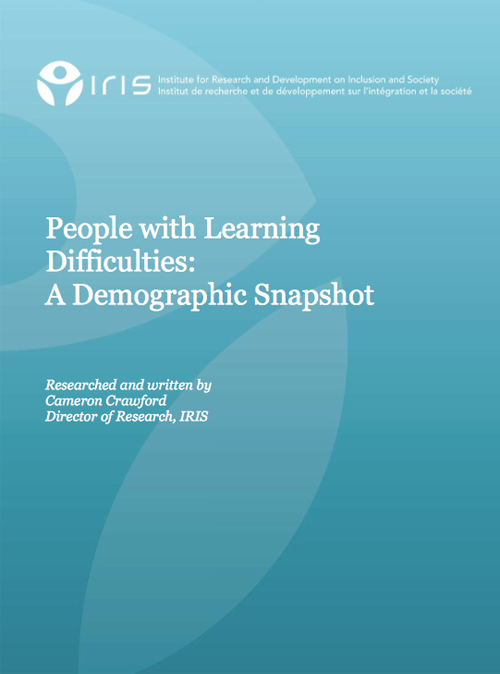 It explores selected demographic and other characteristics of adults 15 years and older classified as having ‘learning difficulties’. It draws from Statistics Canada’s 2001 Participation and Activity Limitation Survey (PALS), the research literature and other documentation and insights gathered from community-based experience. The report generally focuses on people residing in households (i.e. noninstitutionalized) and provides basic demographic information, including age, gender, economic family status, province of residence and size of community, visible minority and immigration status, and aboriginal person status. It goes on to explore issues of education, employment and income, help with everyday activities, health, personal control in decision-making and participation in leisure activities in the community.